Each day this week, you will be introduced to the Design Team on Seize the Sketch! If you have been playing along with Seize the Birthday, continue to do so! There has been a few changes, but all for the better. 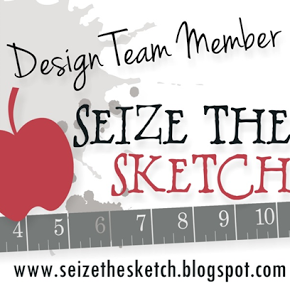 Be sure to stop by, meet the team, and see our new Seize the Sketch challenge blog. Starting August 6, we will have the first sketch up - so please come join us for some fun and inspiration!